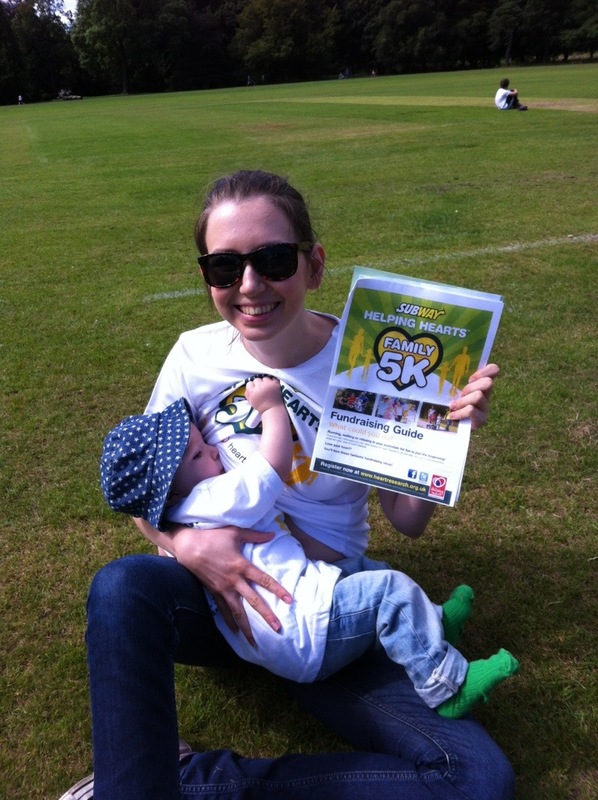 Charity Walk in the Park | Today I Breastfed. We took part in Subway’s Helping Hearts 5km walk around Bute Park, Cardiff on Sunday 11th August, which also happened to be Ethan’s 13-month birthday! We managed it in 1 hour and 2 minutes, which isn’t bad with a baby! We had multiple stops to pick up Ethan’s hat every time he threw it off, and he swapped a few times between his little bike and the sling. This entry was posted in Uncategorized and tagged breastfeeding, charity, exercise, family, feeding, food, health, mother, mothering, NIP, nursing, nursing in public, parent, Parenting, peer support, walk by Today I Breastfed. Bookmark the permalink.